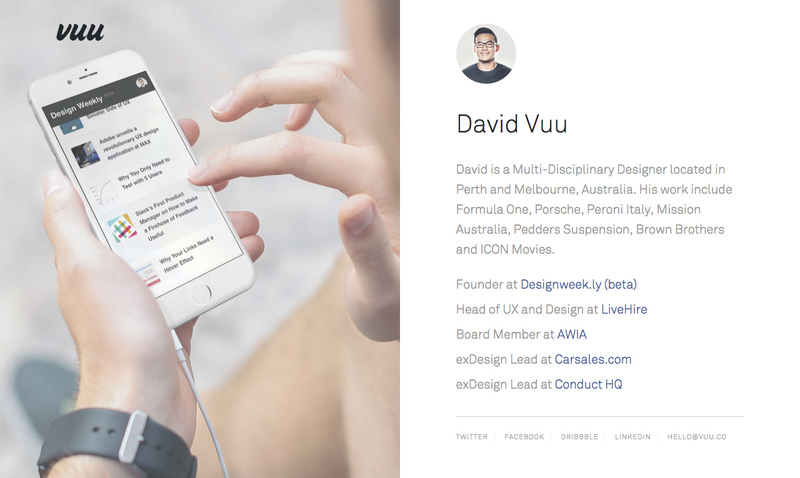 Clean personal page for Australian UX/UI designer ‘David Vuu’ featuring a centrally divided layout. Quite a nice touch that with big image is of his latest project Design Weekly in use. David is a Multi-Disciplinary Designer located in Perth and Melbourne, Australia. His work include Formula One, Porsche, Peroni Italy, Mission Australia, Pedders Suspension, Brown Brothers and ICON Movies.